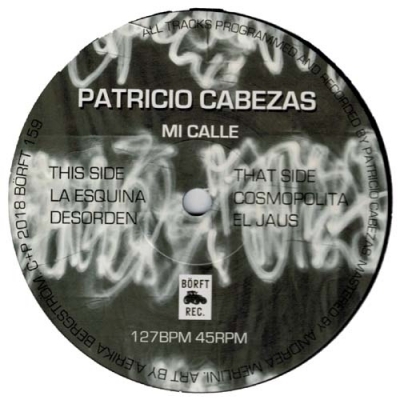 This is something in between underground & Commercial in a good way... Patricio Cabezas is an experienced musician and producer, born in Chile but lives and works in Sweden. After years as a touring bass player, he dedicated himself to start programming synthesizers and producing electronic music. In his music, Cabezas embraces the grey zones and "in-between-ness" that formed him since childhood. He approaches music the same way, discovering and experimenting, almost hybridize genres and moves between live and programmed performances. In 2015 "The Tom EP" was released under his alias "This Other Space" on Tasteful Nudes/Argot. Cabezas is also working in collaboration with Dagfest (Paper Recordings, Bearded Man, Melodica) and 95kbps (Krater).